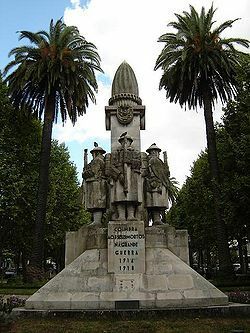 Despite its old alliance with Britain, Portugal did not form a part of the system of alliances which became enemies in World War I and thus kept its neutrality during the first years of war. Portugal suffered from the German U-Boat warfare which sought to blockade the United Kingdom — at the time the most important market for Portuguese products. Clashes also occurred with German troops in the south of the Portuguese colony of Angola. Initially both the Portuguese and the German governments formally stuck to Portuguese neutrality. However, eventually the tension between wanting to comply with British requests and staying neutral grew too great, and a confiscation of German economic interests resulted in Germany declaring war. 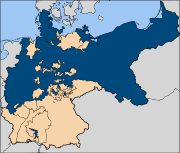 During World War I, the German Empire was one of the Central Powers that ultimately lost the war. It began participation with the conflict after the declaration of war against Serbia by its ally, Austria-Hungary. German forces fought the Allies on both the eastern and western fronts, although German territory itself remained relatively safe from widespread invasion for most of the war.